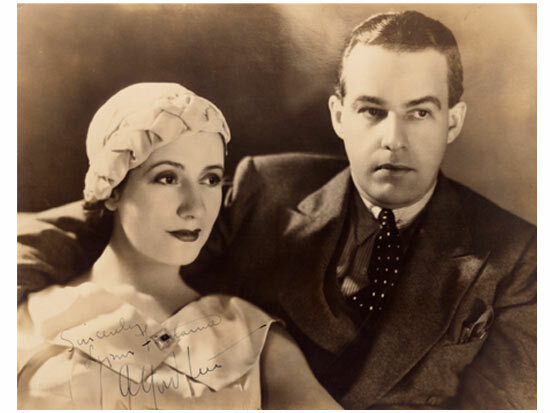 Married couple ALFRED LUNT and LYNN FONTANNE were the greatest acting team in the history of American Theater, but made only one film together in their prime, and are now largely forgotten. That’s about to change. WHAT IS IT LIKE TO BE AN ACTING COUPLE? Playing the Lunts (and multiple roles) are New York based actors ALISON MURPHY and MARK E. LANG, also a married couple who have worked together on stage and on camera for years. They bring to these roles their own experience plus years of extensive research into the Lunts’ lives and work. 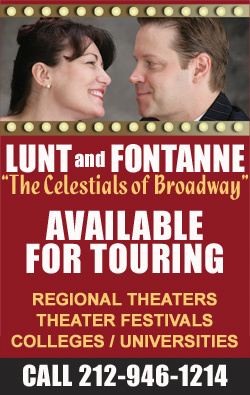 The production team for LUNT AND FONTANNE: THE CELESTIALS OF BROADWAY includes director OWEN THOMPSON, stage manager CANDICE DiLAVORE, costume designers VIVIANE GALLOWAY & JESSA-RAYE COURT, sound designer RICHARD FROHLICH, lighting designer BECKY HEISLER and company manager PATRICK HYLAND. The original workshop production ran in 2015 at the Stage Left Studio in New York City. THE CELESTIALS has also played at The Classic Theatre in San Antonio, Texas in July 2016, and The New York International Fringe Festival in August 2016. TBE Theatrical is now accepting inquiries for performances in 2019 and beyond; for more information contact them at 212-946-1214. THE LUNTS ON THE ROAD! Married actor couple Alison Murphy and Mark E. Lang channel the legendary married actor couple Alfred Lunt and Lynn Fontanne in a new play, written by Lang and directed by Owen Thompson.